Military romance has been, and will always be close to my heart. 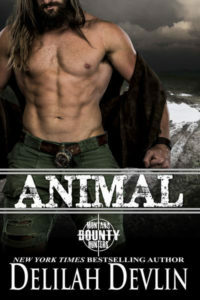 Up until now I’ve primarily written Marines, my affection for them is well documented in nearly 30 books including the Always a Marine series, Lone Star Leathernecks, and of course, When Danger Bites, the first book of Bravo Team WOLF—marrying my love of Marines to my love of Shifters. When Susan Stoker invited me to come and play in her Special Forces: Operation Alpha Kindle World, I didn’t hesitate to say yes! What did give me pause was writing a SEAL, I’d written Marines, but SEALs are different. I wanted to be accurate, and I wanted to be entertaining—but most of all I wanted to be honest. I’ve met SEALs in the past, but there are only so many questions you can ask. Instead, I relied on observation. It’s easy to forget these men are some of the toughest men around, not because they hide it—but because they are usually very comfortable in their own skin. They know what they are capable of and they don’t need to prove it to anyone. Their training is brutal, and it’s not just about physical capability but mental discipline. Their service is often classified or top secret, and they are always training, or prepping, or on a mission. It’s rather humbling to realize that they need downtime after a mission because days of being on and focused and pumped with adrenaline requires decompression time before they can come back to the civilian world. Admiring the fortitude required for all of the above is only the first step to getting a grip on the character. What About Movies and Television? Why not watch television shows or movies featuring special operations? We can do that, and I have, but entertainment always takes a certain amount of dramatic license just like I do in my books. FYI, currently I enjoy The Brave of all the latest offerings on television. Liking it doesn’t mean I can rely on those shows to do my research for me. So you interview who you can, ask questions and recognize that you can’t always get all the answers, but you might get hypotheticals. Then you respect the work they do and focus on your character—I’m not going to write about every minute of his training or every hour of his missions, but I can take the long view and see how all of these will inform the character’s development. Mickey is a SEAL, that is very much a part of his identity, but he’s no longer active duty. In the Marines, once a Marine, always a Marine. For SEALs? They’re always SEALs, it’s something they earn, they become, and retirement or not, the experience is theirs forever. The best part of a writing SEALs? What makes them dangerous isn’t their weapons or their combat skills—it’s what it took to make them SEALs in the first place—their mental discipline and strength of character. Those elements are amazing to combine into a character I create. What is your favorite part of a SEAL? Real or fictional? Ari King has been on the run for over a year. 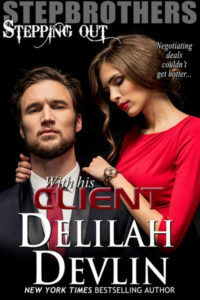 No matter where she goes, her stalker finds her. She’s changed her name, her hair color, and even gave up the job she loved. When Mickey walks into the restaurant and asks for her by the name she surrendered, she takes his order then leaves via the back door, running for her life. Only she can’t shake him. Securing Arizona was supposed to be a favor, but Mickey soon discovers it’s the mission of his life, and the men after her will have to go through this SEAL to get her.